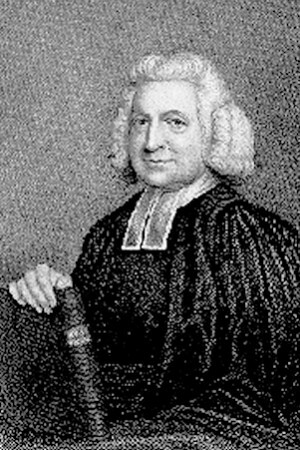 Charles Wesley is one of the most significant and prolific writers of Christian hymns in the English language, and scores of his texts have been translated into numerous languages. His hymns are about conversion, salvation, grace, love, resurrection, suffering, death, hope, healing, trust, the indwelling Christ, Holy Communion, and scores of other subjects which take one on an inner spiritual journey. But how are Wesley’s hymns to be sung today? Are there new melodies and rhythms from Africa, Asia, Europe, the Caribbean region, North and South America which give them new life in the twenty-first century? Yes, there are. This program offers new and exciting musical settings of some well known Wesley hymns such as “And can it be that I should gain” and “Love divine, all loves excelling,” as well as some lesser known ones. Imagine a hymn for Holy Communion sung to an African or Caribbean beat (calypso or reggae), or a Wesley hymn sung to a Latin beat. Or imagine discovering some previously unpublished Wesley hymns for ministry with and among the poor sung to familiar tunes. These are a few of the highlights of a program of both solo and congregational song presented by S T Kimbrough, Jr. on the occasion of the 300th anniversary of Charles Wesley’s birth in 2007. A collection of 18 hymns of Charles Wesley with new musical settings from Africa, Asia, Europe, North America, South America, the Caribbean region Songbook, edited by S T Kimbrough, Jr. and Carlton R. Young, $5.95; CD $12.95; available from GBGMusik.